Crochet a Christmas tree to cheer up your house for the holidays? This cute tree is crocheted with the crocodile stitch, and is very beautiful on your desk or side table. Put some little lights in there and your Christmas decoration is complete! 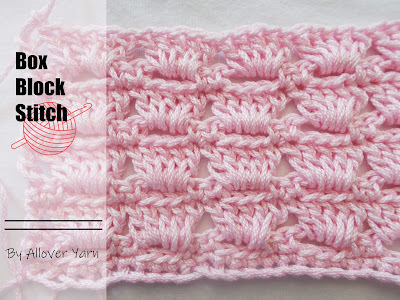 The crocodile stitch is already shown in one of our blogs at Yarnplaza.com. This popular stitch and the used yarn with print gives this tree an unique look. This stitch makes it look like you are crocheting real leafs. scale = dc 4, ch 1, dc 4. Row 1: ch 49, close into a ring with a sl st.
Row 3: ch 1, skip 3 sts, *first half of the scale (dc 4) around the 4th dc, and the second half of the scale (dc 4) around the 5th dc, skip 2 sts, sc, skip 3 sts. * Repeat ** to the end = 7 scales. Row 4: sc 42 (sc between 2 scales, sc 2 right-hand side of the scale, sc in the middle, sc 2 left-hand side = 6 sts). Close row with a sl st.
Row 5: ch 3, dc in same st, dc 5, * dc 2 in same st, dc 5. * Repeat ** to end. Close the row with a sl st.
Row 6: *dc 5 around the right dc of the 2 dc's in the previous row, ch 1, dc 5 around the left dc of the 2 dc's (= first scale), sc in 3rd dc. * Repeat ** to end. Close the row with a sl. st.
Row 9: make 6 scales. Row 32: ch 3, dc, dc2tog to end. Close the row with a sl st.
Row 33: ch 3, dc, dc2tog to end. Close the row with a sl st.
Row 34: ch 3, dc in each st. Close the row with a sl st. Cut yarn, pull through remaining sts. and pull tight.